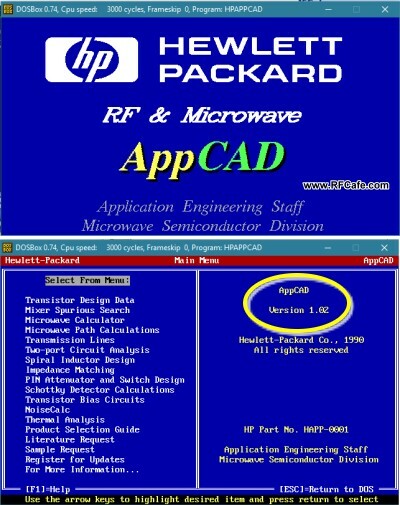 Many of the old-timers out there will fondly remember Hewlett-Packard's AppCAD software back in the days when DOS was king. 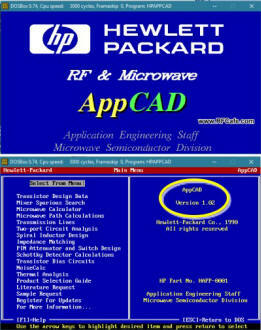 AppCAD was originally released in 1990 by Hewlett-Packard as version 1.02. I remember receiving it on a 5-1/4" floppy disk from an HP application / sales engineer while working at General Electric in Utica, New York. Everyone in the office wanted a copy. That was the era when IBM XT's ATs, Gateway, and Packard Bell PCs ruled. The latest version, AppCAD 4.0, was released sometime in 2012 according to the copyright date listed in the Help->About AppCAD window. It claims Windows 7/8 compatibility, and I've confirmed that it does just fine in Windows 10 as well. The original 1.02 version is still available in the AppCAD website, so I download it. Of course it will not run on any 64-bit version of Windows without an emulator, so I installed the latest version of DOSBox and tried it. Unfortunately, the program hangs after attempting to run one of the functions, so the most I could get was these two entry screen shots. 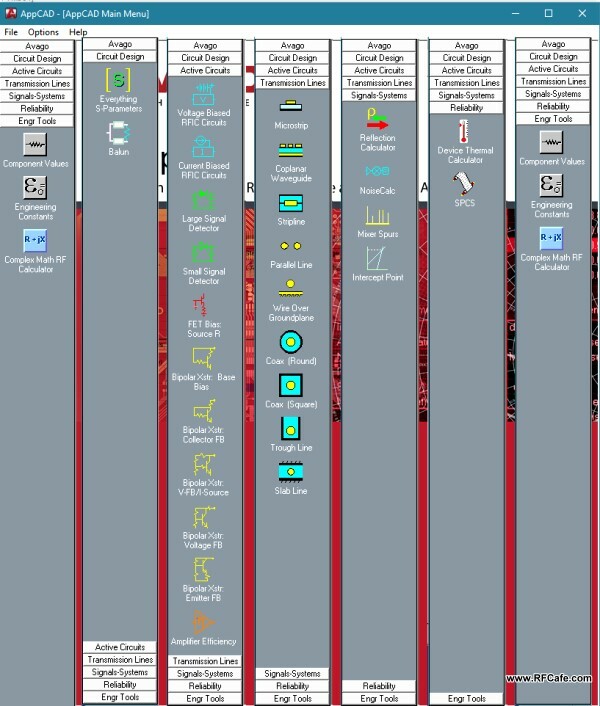 AppCAD version 1.02 opening screens. 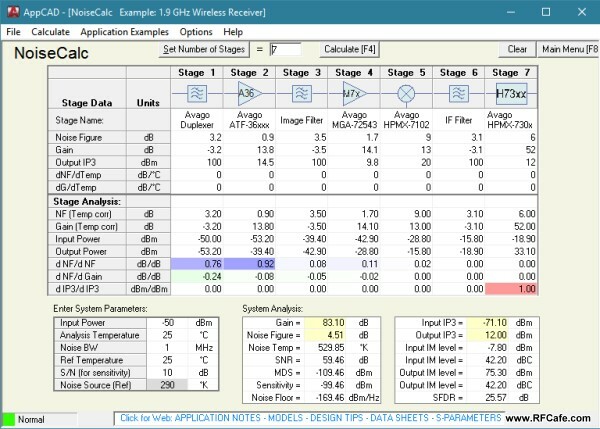 A detailed accounting of version improvements is given on the AppCAD website. 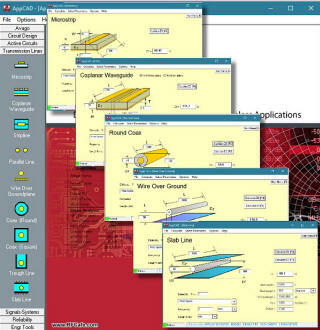 The composite screen capture below shows all the available calculators. The best thing to do is download a copy and try it yourself - it's free! Interestingly, AppCAD has been available on the same website URL since its early days. 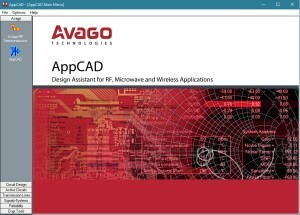 Even though the RF and microwave divisions of Hewlett-Packard became Avago Technologies, then Agilent Technologies, and currently Keysight Technologies, AppCAD is hosted at hp.woodshot.com. Out of curiosity I went to The Internet Archive Wayback Machine™ at archive.org and found a record of a January 2000 version of the website. Going to just www.woodshot.com results in just "Bob Myers" on the screen, who if memory serves me correctly, was the HP engineer that wrote the original version of AppCAD. 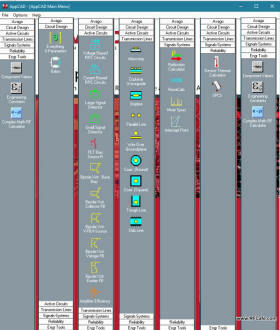 A couple screen shots of version 4.0 are given below. Tip: If you plan to use AppCAD 4.0 to any extent, you'll definitely want to go to the Options->Preferences->Miscellaneous menu and opt to disable the aptly named "Annoying Sound Effects." A couple AppCAD 4.0 S-Parameters screens. 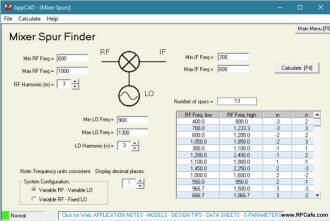 AppCAD 4.0 Transmission Line calculators. 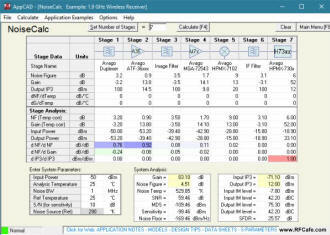 AppCAD 4.0 System Cascade calculator screen. 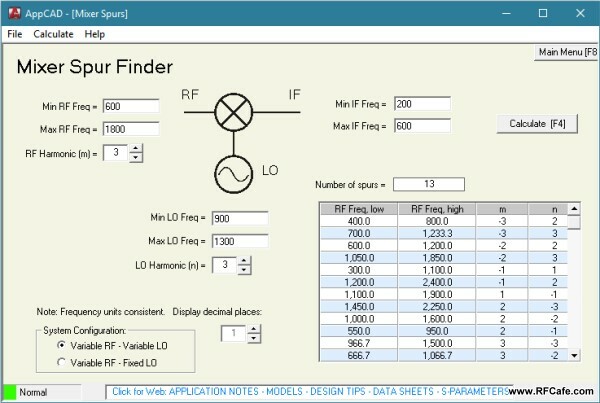 AppCAD 4.0 Mixer Spur Finder screen.